The macula is a small area of the retina at the back of your eye, which is essential for central vision. Damage to the macula causes difficulty in undertaking fine task, such as reading, writing, driving, and recognising people’s faces. 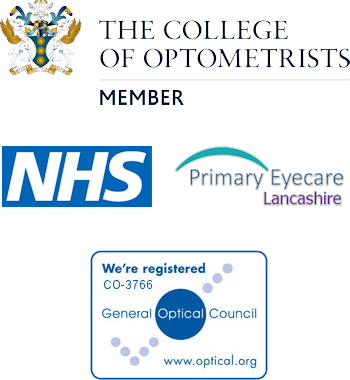 Macular degeneration is the most common cause of severe sight problems in the UK. It becomes more common with increasing age, and so is often referred to as age-related macular degeneration (AMD). The condition is rare in people younger than 60 years, affects about 1 in 20 people aged between 60-80 years, and as many as 1 in 4 older people. If you develop AMD in one eye there is a relatively high chance that it will also develop in the other eye, although not always to the same degree. This is the most common form of AMD and occurs in 9 in 10 cases. In this type the cells in the macula gradually become thin and degenerate. It usually takes several years for vision to become seriously affected. In people with AMD the cells of macula do not work so well. The exact reason why these cells stop working properly is not completely understood. What is known is that in AMD the cells of the macula do not clear waste materials, which collect as tiny deposits called drusen under the retina. This impedes the uptake of nutrients, and eventually the cells in the macula die. This is the dry type of AMD. In other cases, something also triggers new blood vessels to develop to cause the wet form of AMD. The trigger is not known. You have difficulty recognizing faces. A ‘blind spot’ then develops in the middle of your visual field. Distortion, where straight lines appear wavy or crooked. If you notice new distortion in either eye then contact us immediately because it may indicate the development of wet AMD. Earlier detection leads to a better final outcome. Do not delay! For the more common dry AMD, there is no specific treatment yet. There are, however, certain things that can be done to maximize the sight you do have and to slow the disease. These measures include increasing the amount of light when reading, sitting closer to the television, magnifiers, stopping smoking and eating a healthy diet that contains lots of colourful fruit and vegetables. A specific combination of high-dose vitamins and minerals has been tested and found to be beneficial. These supplements are not licensed medicines and are not available on prescription. Only two products in the UK contain all of these in the stated quantities, namely Viteyes® Original and Bausch and Lomb PreserVision® Original tablets. For the less common wet AMD, some people may benefit from treatment that aims to halt or delay the progression of visual loss. The most popular treatment at the moment is an injected drug called Lucentis that acts against substances that promote new blood vessel growth.